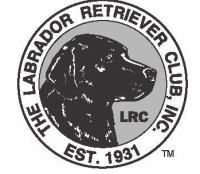 The Working Certificate (WC) is offered by GPLRC in partnership with the Labrador Retriever Club, Inc. (LRC). The Working Certificate Excellent (WCX) is offered by GPLRC only. The LRC does not officially sponsor any WCX test. Both the WC and WCX tests allow an owner of an eligible breed to experience and develop an appreciation for the natural working abilities of their dogs without the commitment required to compete more competitively. 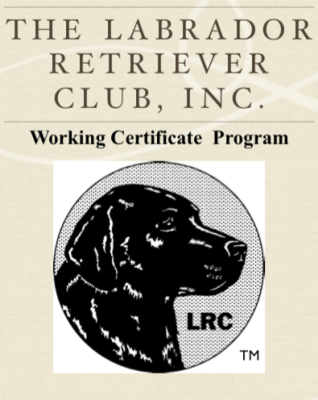 GPLRC also offers a beginner's stake for puppies and very inexperienced dogs. GPLRC Holds the WC WCX test at our training grounds. The dog will retrieve a shot bird at approximately 50 yards on land. The dog must not be gun shy. The dog will retrieve two shot ducks from water as back-to-back singles to show willingness to re-enter the water. The dog need not be steady, so a dog may be held on the line. Delivery to hand is not required but, it is suggested that the area of delivery be within easy reach of the handler. This area will be determined by the judges prior to the beginning of the test. 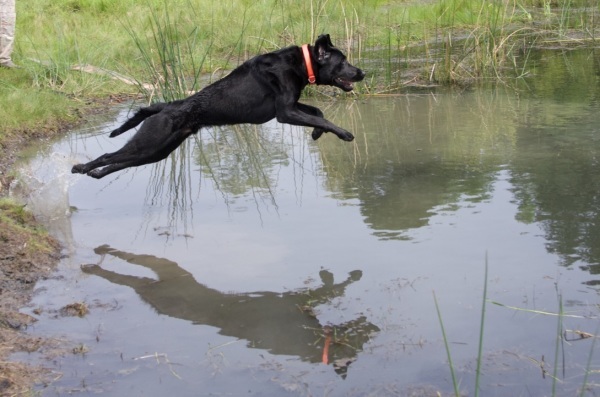 The GPLRC WCX test consists of a double marked land retrieve and a double marked water retrieve. Dogs must deliver to hand. If the dog puts the game down for any reason, it may be commanded (but not assisted) to fetch up the game again. If the dog does pick up the game and complete the retrieve, no fault shall be seen. AKC Senior Hunter Regulations and Guidelines will be followed with the following exceptions: Retrieves should not normally exceed 75 yards, and dogs CANNOT be handled on the marks. This is strictly a marking test. Beginners Stake: This test is for inexperienced dogs. It will consist of single retrieves using bumpers (or ducks), blank pistols and duck calls. The land retrieve will be in light cover up to approximately 25 yards. The water retrieve will be in open swimming water up to approximately 15 to 20 yards. Dogs may be held in any manner and may be released when the mark hits the ground. Dogs must deliver across a designated line to an area near the handler. It is acceptable to encourage the dog to return via voice. Click on image for more information about the LRC and the Working Certificate.